Recently I added another rally computer, the Brantz Laser 3, to my toolbox of navigation equipment. This rally computer has been around for a long time. 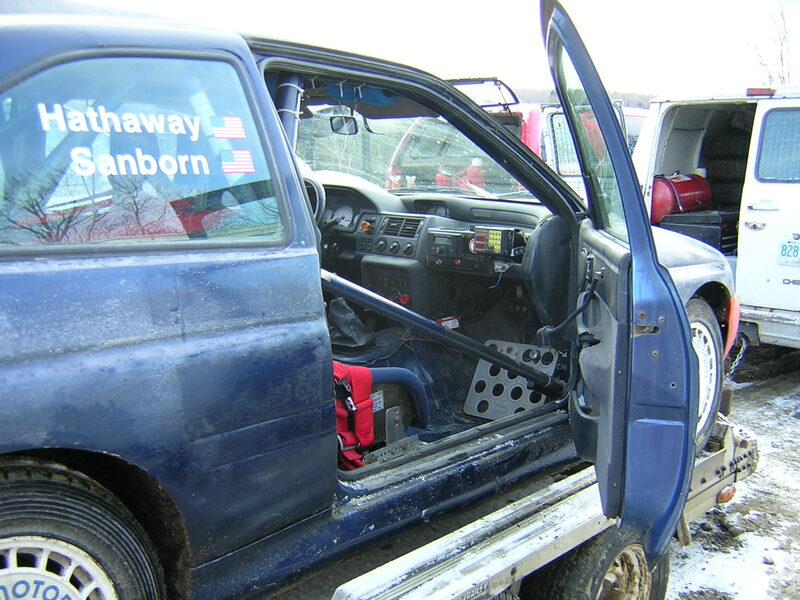 The first time that I used this rally computer was in the early 2000s when I was the co-driver for Chris Sanborn in his Cosworth Ford in the Maine Forest Winter Rally. 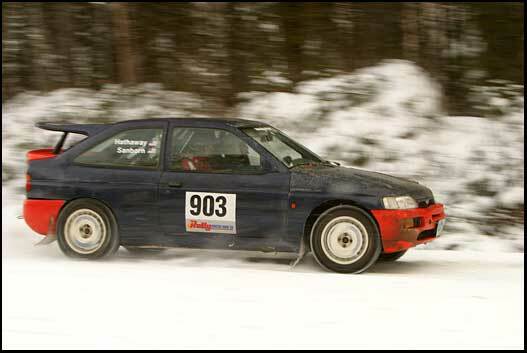 Chris’s previous co-driver, Hathaway, was not available for that rally. Recently, when I was working with the Endurance Rally Association on the 2018 Trans America Challenge, the car that I shared with Mark Appleton was fitted with a Brantz Laser 3. It proved to be a useful, versatile rally computer. The one that we used had been fitted with a GPS driven sensor. After the Trans America Challenge I had the opportunity to buy a Brantz Laser 3 at a very attractive price and now it’s mine. The Brantz Laser 3 that I bought is shown below. 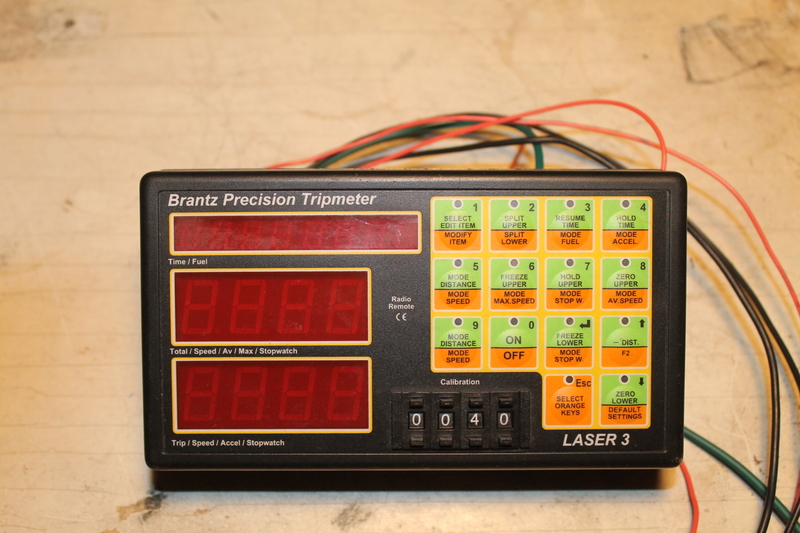 The Brantz Laser 3 is initially somewhat daunting as each button has at least two functions – the orange button function and the green button function. 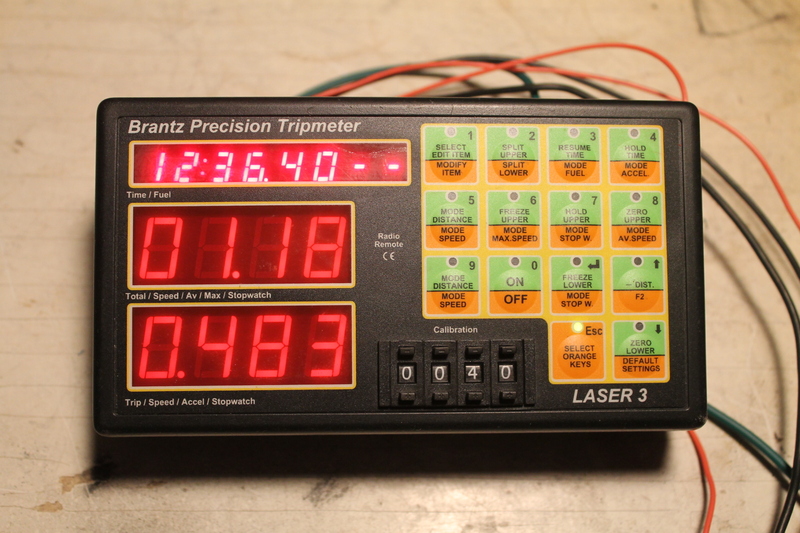 The Brantz Laser 3 has three displays. The top display is the time of day display. The time display is typically in Hours:Minutes:Seconds. To the right of the seconds display the two dashes will turn into 1/100 second when the time of day is frozen. This is shown below where the time display shows 12 hours 37 minutes 17.89 seconds. 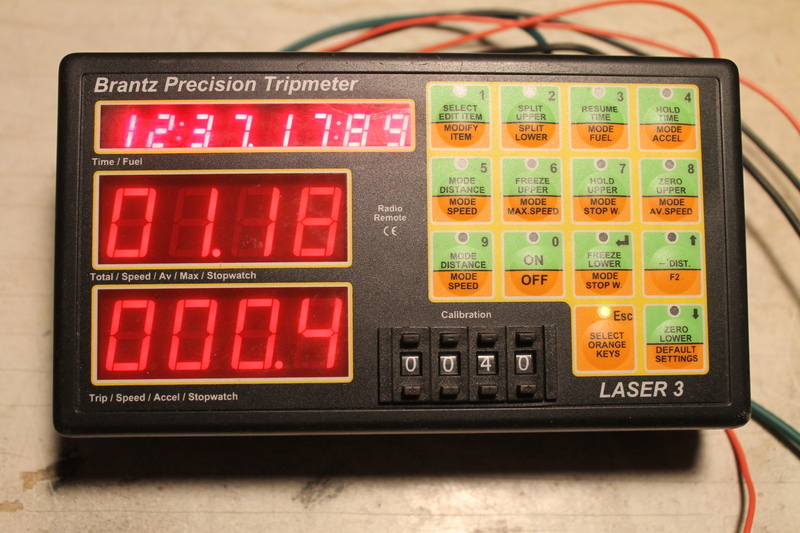 The black and white switches at the front bottom is the four digit calibration number for the Brantz Laser 3. This better than the typical Brantz odometer products which use a three-digit calibration number. The extra digit allows for greater precision of the calibration number. The low calibration value shown in the image above was used by me for some bench testing of the unit. 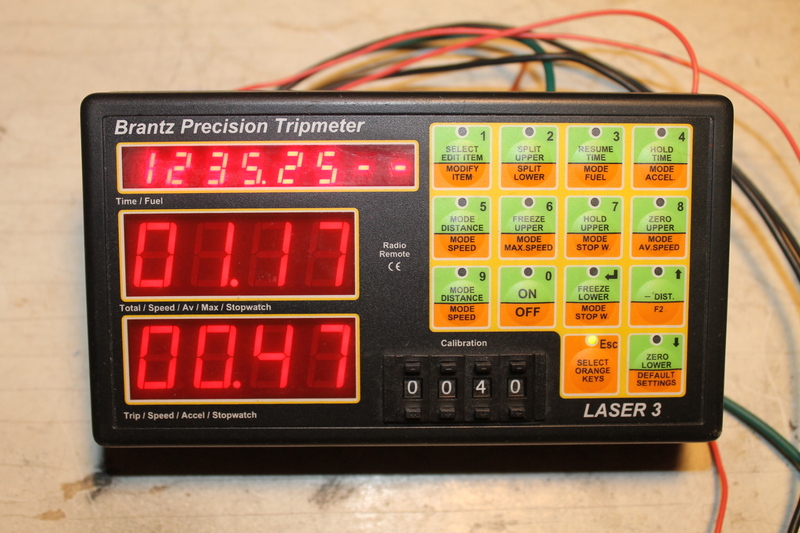 The two displays on the left side of the Brantz Laser 3 can show a variety of information depending upon how the users choose to set up the unit. One feature that I like is the ability to increase the number of decimal places that the distance can be displayed. The image below shows the distance presented to three places of decimal i.e. 0.483 miles. The small letters below each display show the type of information that can be shown in the display above. I could go on to show the all of the features of this unit, but in lieu of that I have included a copy of the instructions for the Brantz Laser 3. To see these instructions click on the pdf file presented below. One thing that I don’t like about the Brantz Laser 3, or at least the one that I have is the wire connection access at the back of the unit. I think that there might be a more custom way to connect the power and sensor wires, but as I bought my unit used from a seller in Israel at a very attractive price, I just got what I got. 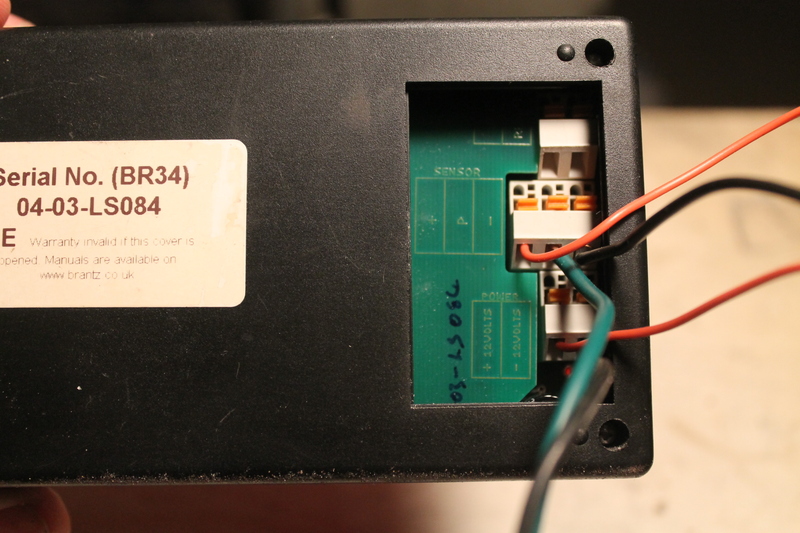 To access the wiring connections it is necessary remove plastic cover on the rear of the unit and leave it open. This shown below. 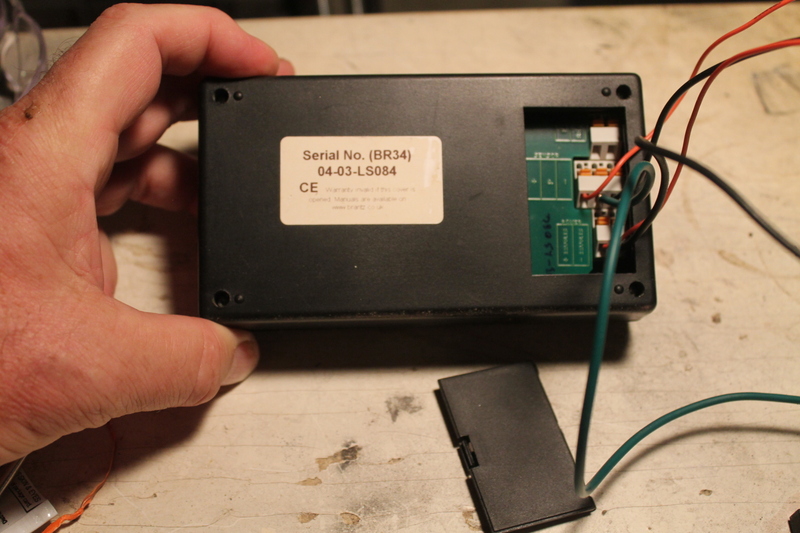 The wires are easily inserted into the back of the unit. The lower two connections are for the power supply, the middle three are for the wheel sensor, and the upper two are for fuel and a hard-wired remote. This open connection at the back of the unit might cause some mounting issues, but as I have no current plans to use this unit, I will solve that problem when I have to. This entry was posted in Uncategorized and tagged Brantz Laser 3. Bookmark the permalink. So, what was your experience with the GPS-driven odometer. How satisfactory was it? Any issues with maintaining signals? Was it easy to correct errors? I wouldn’t expect the calibration dials to be helpful with errors that are random (GPS) rather than systematic (wheel-driven). In the case where the GPS was used with the Brantz Laser 3 it seemed to work fine. I was the Deputy Clerk of the Course in the same car as the Clerk of the Course. We ran as the lead car checking everything out about 45 minutes to 1 hour in front of the lead car. We used our odometer to verify that the route instructions were clear and correct. We had a 48-hour car running ahead of the rally that was also checking. They were especially careful with the distance measurements during the timed sections. They were using an odometer with a wheel sensor. In those instances where there were some discrepancies (all very small) between the original measures made during the recce using a GPS driven odometer and the 48-hour car with the wheel driven odometer, we deferred to the distances determined by the wheel driven sensor and the route instructions were amended accordingly. You are right, but the nature of the rally needs to be considered. In time-speed-distance rallying the average speeds are set below the speed limits therefore any hand-braking would be unusual. In addition, in time-speed-distance rallying the navigator’s job is to continually mange the odometer/rally computer. The distance reading should be updated at every opportunity to account for wheel spin, wheel sliding, calibration inaccuracies, and differences between the measuring driving line of the rallymaster and the driving line of the rally driver. Dealing with these issues is part of the rally navigator’s job. In stage rallying, no matter where or how the odometer is driven, the role of the odometer is not as critical. The stage notes are what is critical. The odometer reading would only used should the co-driver get significantly lost in the stage notes. The odometer is also useful so as not to get lost on the transit. When I was actively stage rallying, I never used the odometer when using stage notes and at the completion of the stage, I reset the odometer reading for the transit section. My point is that rally navigators/co-drivers need to manage the odometer/rally computer based on the needs and style of the rally and that wheel spin/slide can/will happen and this is one of the items that must be considered. My uncle was a winner of the Canadian Winter Rally in a Mercury, I think a 1957 with 3 others one of which I believe to be Bill Wells. His name Henry Clarke aka Harry. I think it was 1959. They were sponsored by Beach Motor located on Queen St. E. Toronto east of Glen Manor on South side, Northward Dealer when I was a kid. Beach Motors was Owned and operated by Bruce McEachern. I don’t have the records for the 1959 Canadian Winter Rally, but I do have the final results from the 1960 Canadian Winter Rally. There was a H. J. Clarke along with B. B. Hamilton who were listed as finishing 15th Overall in a field of 88 finishers. They were driving a 1960 Triumph Herald. Not sure why there were listed as finishing 15th when the cars in positions 13 and 14 had the same score. Perhaps a three-way tie for 13th would have been a more accurate listing of how well they did. Yes that was probably my uncle however I know he also did well, in a Mercury as he always drove imports. And everyone used to trade him about winning in a North American car.